Who can benefit from Teoxane Skin product? Ã Sheila Maitlen: Dr. Klein, who might be a candidate to use these products of Teoxane? 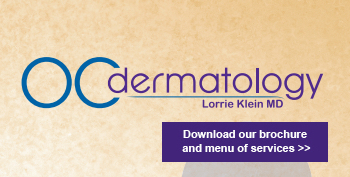 Dr. Lorrie Klein: Anyone with mature skin should use products for dry skin such as Teoxane Advanced moisturizer for dry skin.For people with an oily combination, older skin or younger skin, they can use the normal skin products. It’s really good for everyone.You also have to hydrate your skin and you want to moisturize it. You want to make sure that you don’t lose moisture and you want to plump the skin. Therefore, I like to recommend products from different lines such as the SkinMedica Essential Serum combined with the Teoxane moisturizers and refiner serum. Sheila Maitlen: So because these products are a little bit more like medical grade products, at what age should a person start to inquire and think about stepping up the skincare line to something like Teoxane? Dr. Lorrie Klein: Oh, that’s a great question. For any of the more potent skincare rejuvenation products, I would say after age 30, although people with a lot of sun damage can start in their 20s.